An irresistible first-half display from Fulham laid the foundation for a dominant 6-0 victory over Burton Albion at Craven Cottage. Rui Fonte scored twice as Slavisa Jokanovic's side gained a sixth successive home league victory and maintained their hopes not simply of a play-off place, but even automatic promotion. 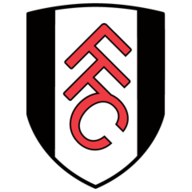 Ryan Sessegnon collected his own brace of goals in the second half, with Lucas Piazon and Aboubakar Kamara also scoring in a demonstration of Fulham's attacking prowess. Apart from a Luke Murphy booking, collected for scything down Oliver Norwood from behind, the opening 17 minutes were notable only for a succession of low crosses which, without exception, found the boot of a Burton defender. Having attempted to go around the side of the visitors' defence, Fulham's first incisive pass through it brought them the opening goal. Norwood supplied it, setting free Piazon, who unselfishly squared for Fonte to sidefoot into an empty net. It might have been 2-0 four minutes later. 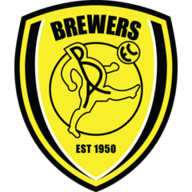 Sprinting forward following a Burton free-kick, Piazon curled a delightful ball into the path of Sessegnon whose fierce drive was beaten away by visiting 'keeper Stephen Bywater. Fulham's recent surge towards the Championship play-offs - they have now collected 16 points from their last possible 18 - has finally dispelled the doubts that characterised their stuttering autumn. That included a 2-1 defeat at Burton in September, a result that never looked like being repeated here. Had it not been for Ryan Fredericks trying to strike his shot too hard on the half-hour following more adventurous work down the left by Sessegnon, the hosts would have added to their lead. Instead, Marvin Sordell went close for Burton with an opportunistic shot that flashed across the Fulham six-yard box. Mindful of his earlier wastefulness, Fredericks atoned in splendid fashion after 34 minutes, taking on Kyle McFadzean on the outside before intelligently pulling a low cross back to Piazon who swept home with ease. The game was over as a contest three minutes later. Again, Fredericks provided the cross after being set free by another Norwood pass. This time it was met by Fonte, whose header cannoned into the back of John Brayford and dropped for the Portugal striker to steer home the loose ball. Fonte went close to securing his hat-trick with another blocked header just before half-time. Perhaps understandably, the intensity left the game for 20 minutes after the interval. The sides held station until the 72nd minute when Fredericks galloped forward again and this time picked out Stefan Johansen in the penalty area. Johansen's shot was partially blocked but ran through for Sessegnon to slot home from six yards. Fulham's fifth goal 11 minutes from time was a near carbon copy. Johansen saw another effort cannon off a Burton leg and into the path of Sessegnon for another simple finish. Substitute Kamara then saw his shot blocked by the legs of Bywater. However, the striker made amends for that miss in the 88th minute, racing on to a long ball before lifting his shot over the 'keeper. Slavisa Jokanovic: "Lucas played very well today. It's great for his confidence after a long injury. He has been part of our improvement in the last few games. He scored a goal, he feels happy in himself and from finding some end product from his work. And he will get better in the future. "It's great news for Rui to score two goals today. We expect some games where we won't find as much space behind the defensive line and Rui can help us with his movement. It's great for his confidence. He is working well daily and trying to prove himself." Nigel Clough: "When you go 1-0 down early, the priority is not to get an equaliser, it's not to concede again. We had 75 minutes to get a goal, so don't concede the second goal and don't concede the third. "We were working our way into the game and the only difference between today and previous away games is that we didn't make mistakes in those like we did today."